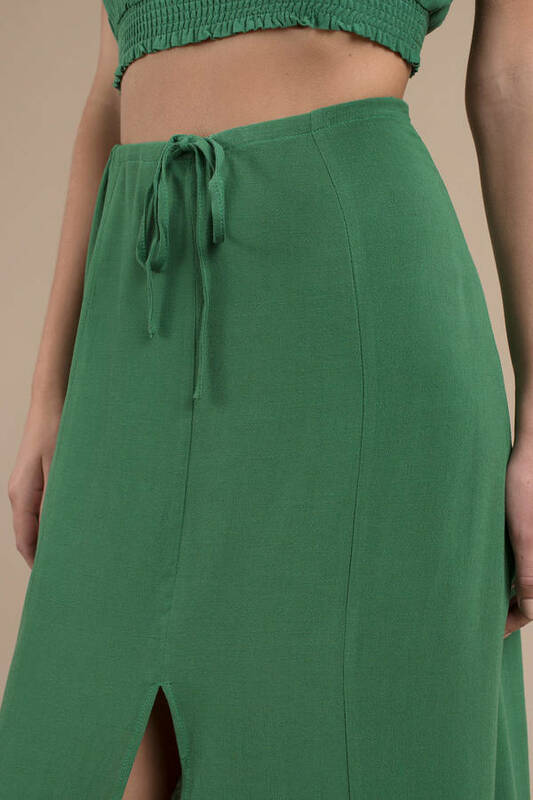 Check out Tobi's Lofty Dreaming Maxi Skirt The Lofty Dreaming Emerald Maxi Skirt features a soft rayon weave with a high slit, front tie detail, and lined interior! Pair with the Lofty Dreaming Crop Top to complete the look! The Lofty Dreaming Emerald Maxi Skirt features a soft rayon weave with a high slit, front tie detail, and lined interior! Pair with the Lofty Dreaming Crop Top to complete the look!